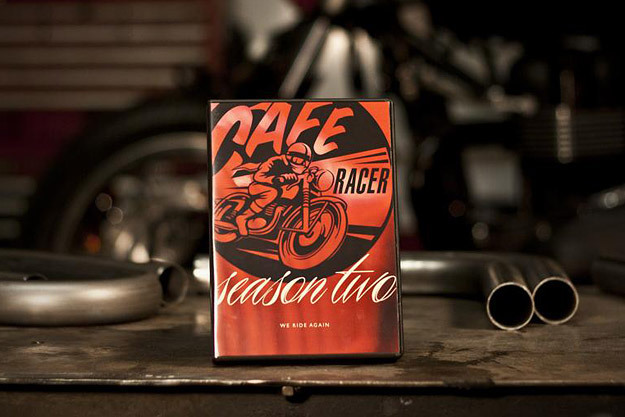 Today, Cafe Racer TV releases its entire Season 2 on DVD, which is a good excuse to look back at the featured bikes. With the benefit of hindsight, one of my favorites is a low-key build: a Triumph Thruxton from British Customs. It’s a “real world” build that’s within the reach of a competent amateur with a mid-range budget. 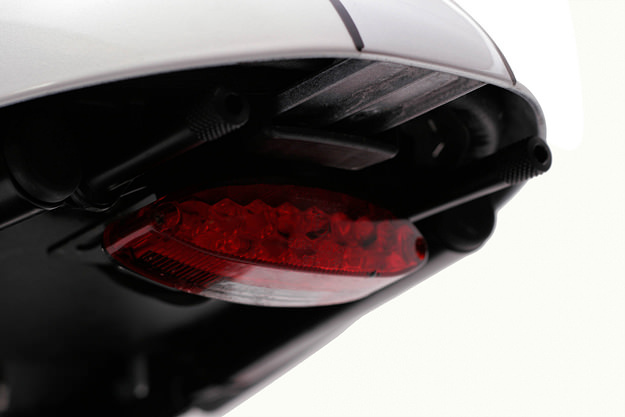 The bike is a 2011-model, which means a fuel-injected engine. 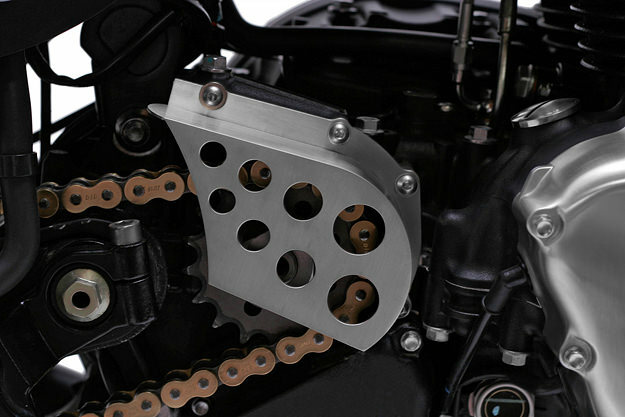 British Customs installed a 2-into-1 Left Exhaust to increase low- and mid-range performance, a fitment that also exposes the alternator case, sprocket cover and drive line. At the back is a Wide Wheel Kit, using a 5.5 x 17 inch dimpled aluminum rim: it’s a complete solution that allows owners to run a rear tire up to 180/55-17 without any further mods. Hagon Nitro shocks keep the back wheel well planted. 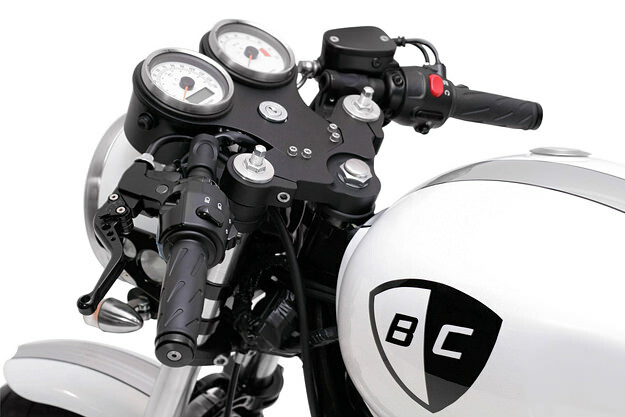 Up front, a custom triple tree is matched to clip-on bars from the German Triumph specialists LSL. 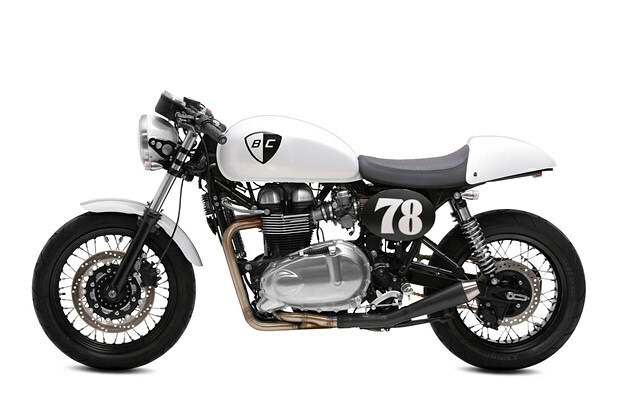 The icing on the cake is a white pearl paint job from Chris Morrison Custom Motorcycle Paint. 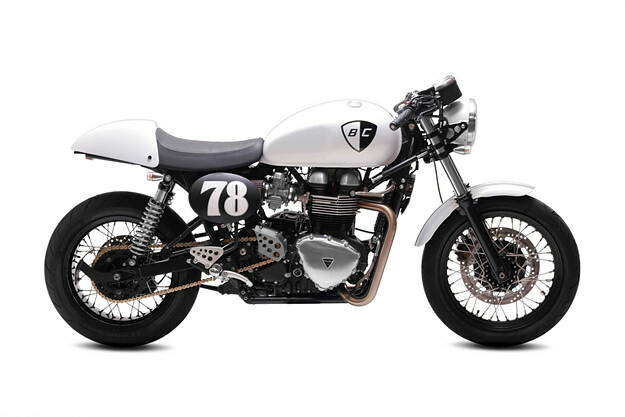 It’s a classy, elegant makeover that plays to the Thruxton’s aesthetic strengths and also increases its dynamic abilities a little without compromising usability.